The program at both centers is child-focused where routine and content can be adjusted to fit the children's needs and interests. 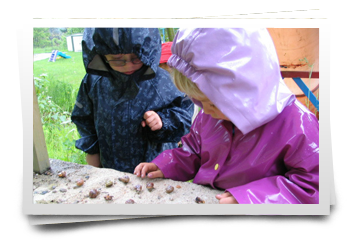 Like all other licensed facilities, the schedule includes indoor and outdoor play, free play, group time and activities in all areas of curriculum. The philosophy of the centers is knowing that every child is uniquely themselves, intelligent and "gifted". From the moment children are born, they begin a journey to understand their world and to participate as active citizens in its activities. As Early Childhood Educators, we support this journey by providing a safe, stimulating environment, valuing each child's perspective and gift, by listening to and supporting their journey of learning. A strong focus is on social competence in group settings. Communication is a key. Children acquire the understanding that we have many ways of communicating with each other. From body language to sign language to exposing children to a variety of different languages, the program assists the children in acquiring the knowledge and confidence to communicate in various social circumstances. Our goal is to build an appreciation for the diversity of people as we support the interchange of feelings, ideas, and negotiations within the whole group of children. Each child is unique and each one can add to the dialogue, problem-solve issues to find solutions and be valued for their input to the group. Valhalla Trails is a summer program that takes the children out of the centers' environments and into their surrounding world. Here in the Slocan Valley, we are fortunate to be surrounded by forests, mountains, rivers, lakes, ponds and an amazing variety of flora and fauna. So, during July and August, the children head for the "trails" to explore, observe and learn hands-on about their earth. Their journey leads them to an appreciation of not only the seasons but also of the four elements of water, air, earth and fire. The children learn to view the resources of this earth in a respectful way rather than a "disposable" way. They learn to identify food and medicine plants, how to prepare them, to safely build and use a cooking fire, to understand how life is connected and interconnected. Soma: "The earth is our mother, she takes care of us and we take care of her…cause she loves us." Summer 2010, the children requested the following topics for exploration and learning about. What the summer of 2011 will involve, only time will tell. Outdoor Adventuring & Curriculum Too! Not too long ago, terms like "nature deficit disorder" and "biophobia" were unheard of, not so today. Statistics show us today's children spend much less time outdoors and are these phobias and disorders the result? Where do educators fit into this scenario? Where can we start? 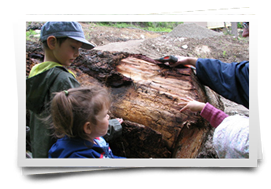 "Valhalla Trails" Outdoor Adventuring program takes children out into the forest, neighbourhood and backyard. This presentation will guide you through these environments and share some of the possibilities of learning in all curriculum areas. Many people in our society still view early childhood educators as "baby-sitters", to take over the care of their children when parents can't. The "educator" part appears to have an invisible place in the title and very little interest is expressed in what it takes to be an educator of young children. The term "preschool teacher" is not understood any better. This was and still is unfortunate because of the "treasury" of skills that an early childhood educator can bring to a difficult situation. Here, I don't even need to mention young children because the guidance and discipline strategies that early childhood educators apply in their daily practice is often the same interpersonal skills that work successfully in adult to adult scenarios. This is a workshop for adults, may they be parents, grandparents, caregivers of small children or interested members of our society. The workshop began as a "one to one", information-sharing meeting with the parents of the children registering at Wee Ones. Often times the issue that weighs the heaviest on parents' minds is the uncertainty of how discipline will look like if their child needs intervention. In order to address this uncertainty, a workshop that all parents could attend was scheduled. At the workshop, the key strategies of preventing issues from occurring were discussed. In the second part, the workshop took the parents through the strategies used as interventions. In order for the parents to get a clear picture of how these strategies could be applied at the center, actual examples and scenarios were shared and discussed. This discussion would provide time for the parents to understand why the specific strategies would be used and also how to use them in the home environment connecting the two settings for consistency in their guidance strategies. Through the 23 years that this workshop has been offered, parents, soon to be parents in the community, grandparents, caregivers and teachers in our educational system have appreciated the simple to apply, positive principles behind these strategies. But more than that, they have learned to understand and appreciate the "educator" in the early childhood profession. Every year, these workshops are scheduled for the parents of Wee Ones and Valhalla Children's Center as well as interested members of the community. If you want more information about the workshop, you are welcome to call Wee Ones @ 250 350-7404 or Valhalla Children's Center @ 250 355-2222..
What were you hoping to learn from these workshops? "My goals were to learn efficient, functional and heart centering ways to guide and discipline my child, creating a foundation for me and the father of my child to be on the same page when it comes to raising our child". "To interact with my child in a healthy, healing and positive way. To raise my child to a mature, trusting, and responsible person." "To raise positive, happy people." "To understand children as a whole, as little humans, not just my kids." "To become a better parent, to understand how things are handled at the daycare, and learn from facilitator's experience." Did the workshop address your needs? Explain. "Yes, along with handouts and lots of stories and discussions, Natalie facilitated a very informative workshop." "Yes, I heard a lot of great ways of being with and communicating with children." "Yes, they all work I have tried them and I am happy with the benefits." 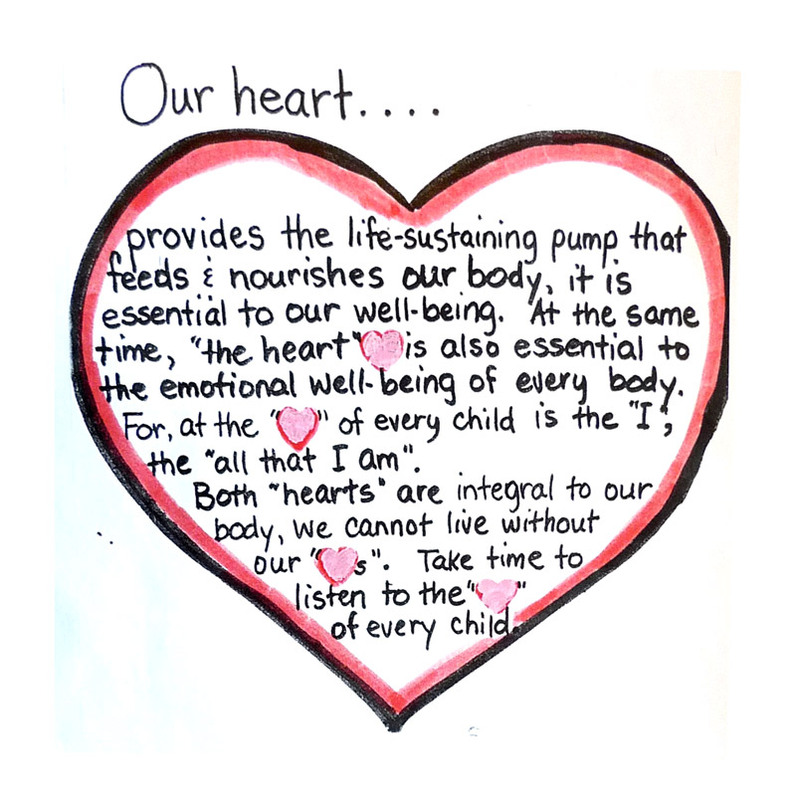 "Natalie (early childhood educator) expresses her wisdom and knowledge of our young ones in such a natural and caring way that it is easy to incorporate into our daily lives. Out of all the books and workshops, I've been to, this workshop by far is the most resonant for me." "Yes, almost immediately as parents we were able to experiment with our child…with POSITIVE RESULTS!" "Yes, very much. I learned more how to best interact and how to behave in challenging situations, rather how to direct my energy and prevent difficult situations." "Very, I read all the handouts. Many of the stories or illustrations have stuck in my mind and come into play in my interactions with my daughter." "Yes, I have always felt the world would be, can be a better place if we start with children…"
"Yes, useful, but I know they have to be practiced…"
"People's opinions and questions were expressed freely and answers were there." 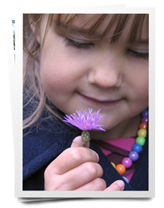 "I love the care, love and respect that Natalie (early childhood educator) reflects for our young children…repeatedly. She's amazing!" "The openness and non-judgmental way of teaching, her listening and sharing." "The wonderful nature, spirit, manner who clearly loves and respects children while still holding them to a certain standard of behavior. Great example for me to learn from." "That she listened, she didn't just say here are the answers, listen to me. She gave suggestions, let's figure it out together." "ongoing workshops on this subject for many, many years to come and for as many other parents to develop these skills too." "more time for the educator to talk." "I enjoyed it all, very satisfied."